In this three part series, philosopher and phan Kenneth Noe (ABD, Southern Illinois University Carbondale) explores Phish’s improvisational music through the concepts of habit, affect, and event. Perhaps the most important feature that distinguishes Phish over their 30-year career is their devotion to a unique improvisational style, one which integrates a host of traditional musical influences in an ever-evolving reserve which they readily draw from in live performances (such as funk, jazz, bluegrass, rock, blues, etc). Sometimes successful, sometimes less so, Phish shows explore risky and indeterminate spaces of musical production. The band operates against the established grain of most popular live acts, whose performances, by stark contrast, are in large part designed to minimize precarious excursions into the unfamiliar (even if occasionally probed). Phish works with a different set of values than that of standard practices in the music industry, so much so that the band’s enduring popularity and enormous success have become something of an enigma, the secret of which they share with the only true precursor to this model of live rock performance, the Grateful Dead. Like their forbearers, Phish do not intend merely to replicate a finished product but rather strive to create something new at each event, a continuing project which might best be described as an indefinite search for spontaneity. As such, the Phish experience invites audiences into the experimental process of aesthetic production, a risky model well acknowledged by the band itself, yet one which also carries with it the potential for the greatest of aesthetic rewards, namely, the happy accident of discovering something beautiful which might otherwise have been overlooked. In this sense, the band offers its audiences more than a mere entertainment but more deeply an occasion for reflection on aesthetic experience, i.e., the kinds of experiences occasioned by works of art. In this series of blog posts, I suggest that the band’s highly experimental style serves to illuminate the inner workings of the relations between philosophical concepts of habit, affect, and community. Because Phish has been so successful in unlocking the secrets of improvisational form over the last 30 years, it is worth examining their approach to musical performance for clues as to how habit, affect, and community come together in the shaping of aesthetic experience more generally. To that end, I offer here a brief discussion of the ways in which Phish’s art of improvisation reveals the central role that novelty plays in the experience of works of art. Through improvisation, Phish exemplifies the notion that for something to be beautiful it must also be new, i.e., it must possess a degree of affective novelty sufficient enough to occasion an act of subjective reflection on the beautiful presentation’s dynamism and richness. 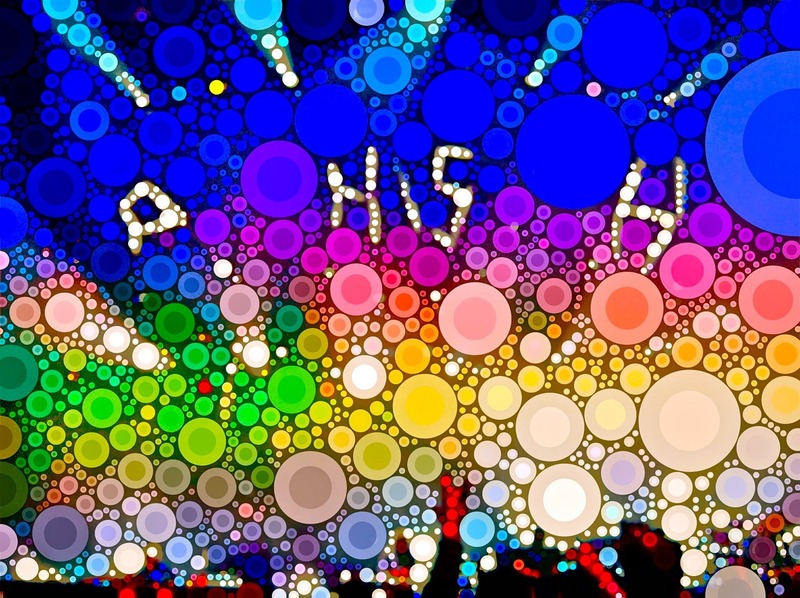 In the broadest philosophical terms, then, a Phish performance is an event, that is, a unique occasion which is open to novelty, one which seeks to increase subjective capacities for being affected. In other words, to properly experience Phish requires an open mind and a willingness to risk the creation of something new, where our habituated thoughts and feelings about music might be changed.